A community in South East Clare is up in arms over plans to restrict access to a bridge in Meelick to carry out safety works there. 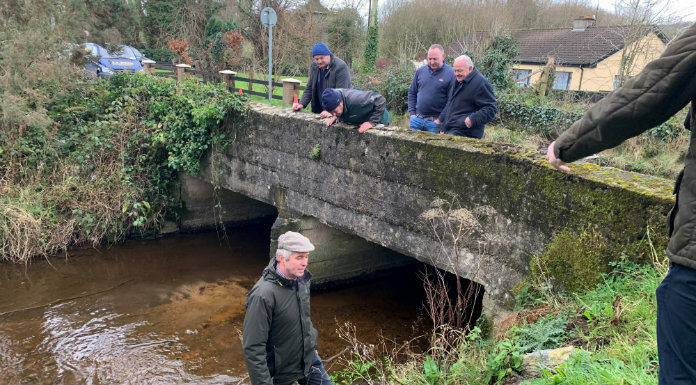 Stonepark Bridge is on a key route into the village and an assessment carried out by Clare County Council has revealed structural issues with the deck of the bridge, with immediate action needed. As a result, temporary traffic lights have been installed and a 7.5 tonne weight restriction has been implemented until the issues are dealt with, meaning farmers and school transport are directly affected. And you can hear more on this on Clare FM’s Morning Focus after the 9am news.